Employment taxes, Capital Gains Tax; International Social Security, Modified Payroll for tax equalised employees, taxation of non-resident Directors, Residence (inc. Statutory Residence Test) and Domicile. Having spent an earlier part of her career working within Shaw and Co.’s, Hannah spent a nine year period working within the Global Employer Services team at Deloitte in Reading. 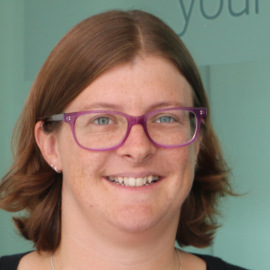 Hannah is a Chartered Tax Adviser (CTA) specialising in providing UK tax advice to expatriate individuals both inbound to and outbound from the UK. Her particular areas of expertise include the taxation of Residents and Non Residents under the Statutory Residence Test (SRT), international social security, Modified Payroll for tax equalised employees, the taxation of non-resident Directors, the domicile of individuals and the operation of double tax treaties. She works with many non-domiciled individuals, including visiting academics from Oxford University, those settling in the city for longer periods and those leaving for new challenges. In her free time, Hannah enjoys riding and competing on her (many) bikes with her husband and young son, camping, reading and knitting.